‘What exactly does the word ‘Vardhaman’ mean? The one that grows and let grows. Both of these factors are subsumed in the word Vardhaman. The various centres at the Bhoutik (physical), Manomaya and the Pranmaya level, which also mean the gross, subtle and supra-ocular levels that are inactive, are activated with the help of this Vrat,’ said Sadguru Shree Aniruddha while explaining the significance of this Vrat. 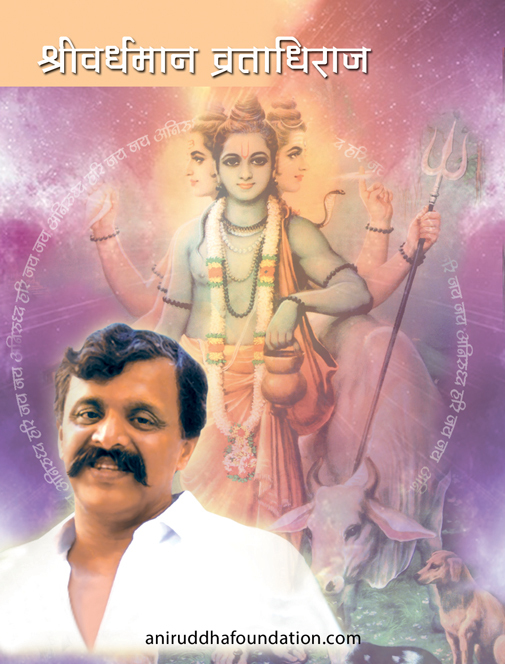 On 24th December 2009, Sadguru Shree Aniruddha narrated a related tale, emphasizing the significance of this Vrat. It was thus, made open for every Shraddhavan to observe ever since. Shree Vadhaman Vratadhiraj is an assurance of not wasting the human life after getting a human birth. This Vardhaman Vratadhiraj is the Mahamarga – the supreme most way of attaining Parmeshwara’s Nava Ankur Aishwarya. Shree Vardhaman Vratadhiraj is the highest pinnacle in all the vrats or vow that exists. 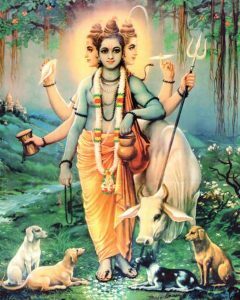 Shree Vardhaman Vratadhiraj is the sovereign Vrat that reinforces the divine blessing and the one, which destroys the miserable ill-fated of even the extreme cases of sinners and virtuous. Gopinath Sashtri spent that whole night praying the same. He sat on the banks of river Panjara at his favorite place embracing the idol of Vitthal for 9 days without eating or drinking anything. Thus, was the evolution of ‘Vardhaman Vratadhiraj’ the supreme path of bliss and well being for the humans, he further continued the Vardhaman Vrat incessantly for thousand full moon days (Pournima’s) in his lineage. One who follows ‘Shree Vardhaman Vratadhiraj’ minimum 24 years in his life or for half the years from the age of 18 years upto death of his life become more and more virtuous and happy in their life. They always receive peace and tranquility. One who observes this Vrat for a minimum of 9 times or 1/4th years of his life achieves revocation from his greatest sins (Pancha Mahapaap). One who performs this vrat with devotion at least once in a lifetime, his intensity of sufferings and pains reduces. One who performs this annual vrat more than once in his life would achieves happiness and gets rid of pains in life. There is a booklet available, regarding the facets to be followed while observing the Varadhaman Vratadhiraj. There are about nine facets of this Vrat. The booklet contains information regarding each of these facets in detail. Thus, this Vrat, which begins on the pious day of Margashish Pournima, which is also the occasion of Dattajayanti, gradually encompasses the first day of the new year (according to the modern calendar) and this thus, gradually obtains us the good reverberations and grants God’s blessings is every Shraddhavan’s firm belief.